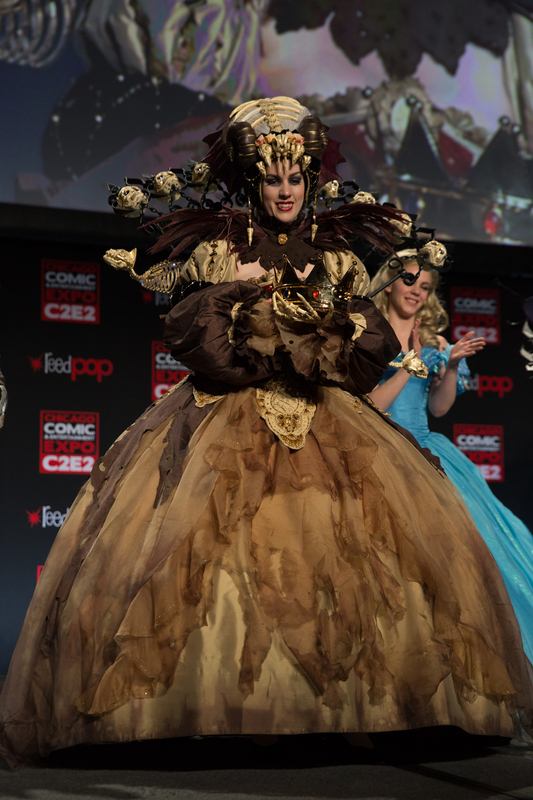 ReedPOP stages fan events around the world, and almost every one has a cosplay contest. 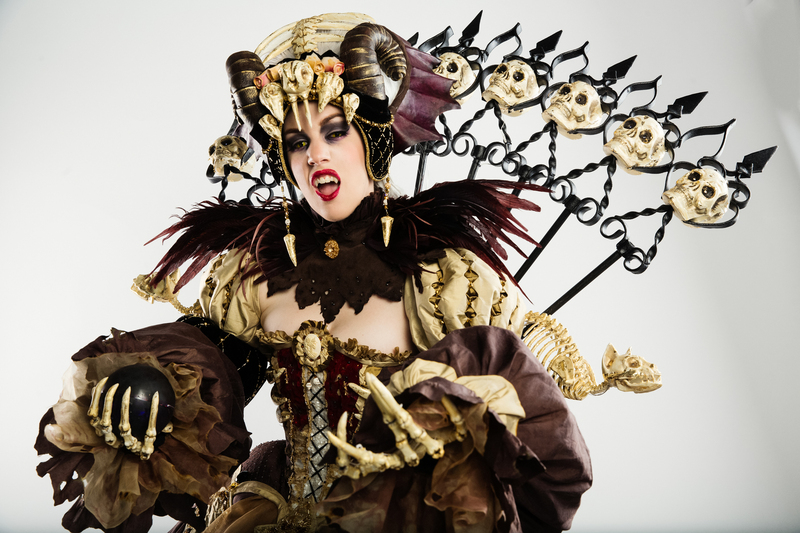 Those regional winners are then flown to Chicago, to participate in the Crown Championship of Cosplay finals at C2E2. 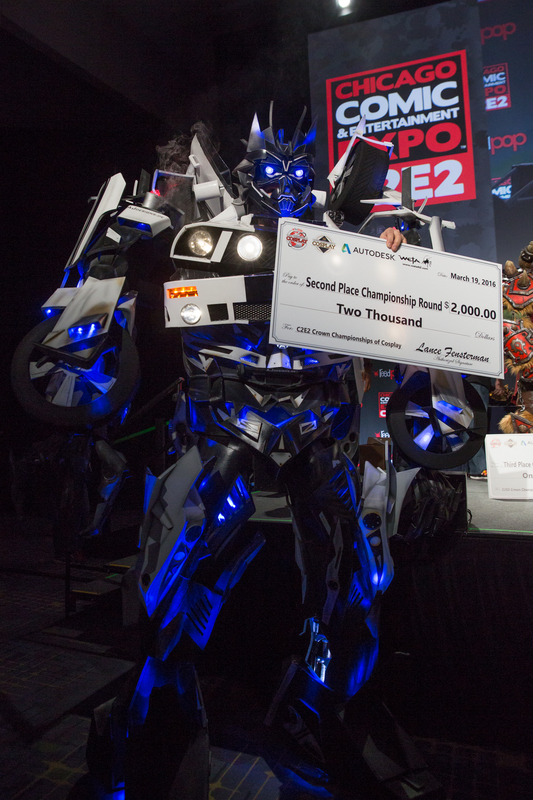 CHICAGO – March 20, 2016 – In front of a packed crowd of super fans, cosplay enthusiasts and celebrity judges on Saturday night, ReedPOP, the world’s leading producer of pop culture events, named the winner of the 2016 C2E2 Crown Championships of Cosplay, the final stop of the 2016 Global Championships of Cosplay competition circuit. 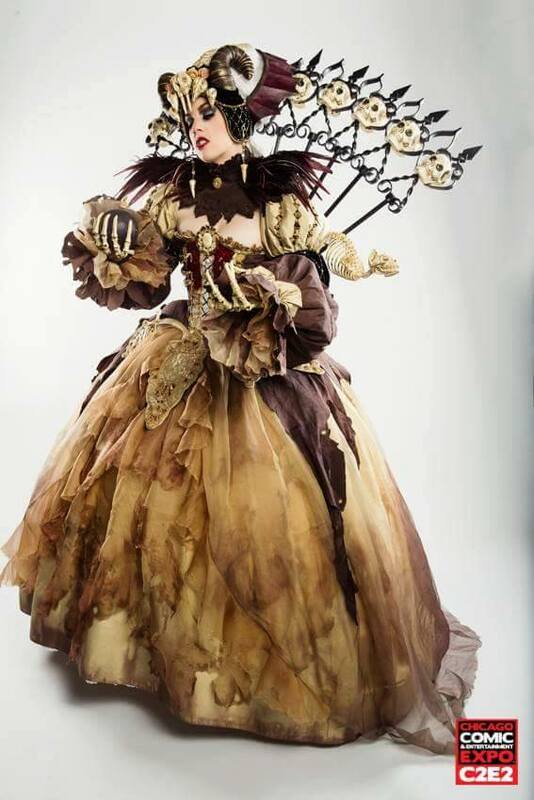 Australian Major Sam Cosplay dressed as Julieta Necromancer wowed the audience and judges as she claimed the top prize. 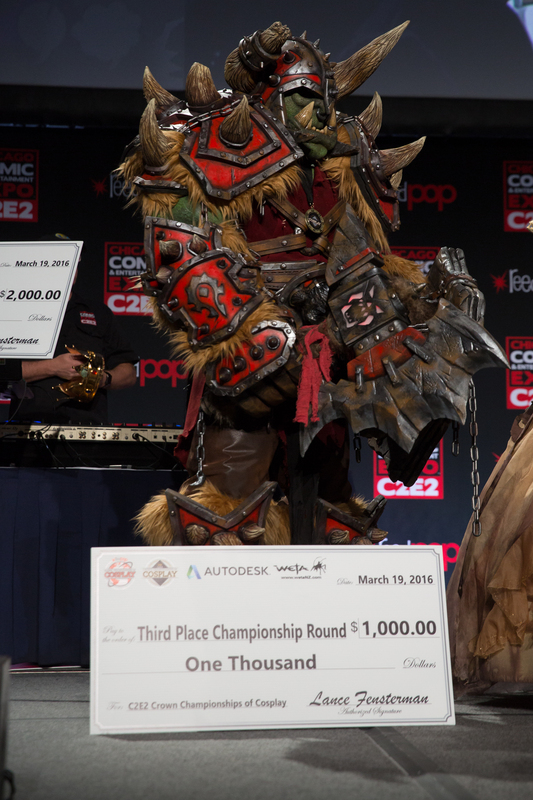 Runner-ups Andres Bauer from Austria (dressed as Wheeljack) and Missouri native SKS Props (dressed as Warcraft Orc) split $10,000 in cash and prizes with the winner. 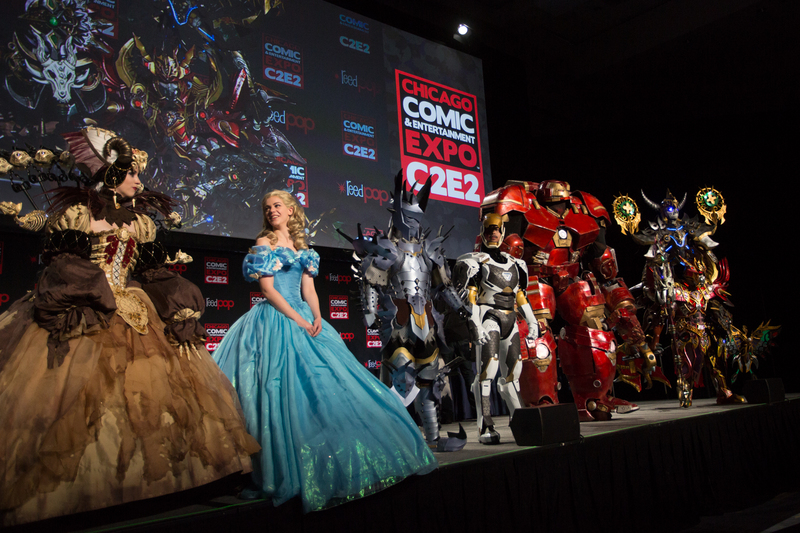 For the first time, the C2E2 Crown Championships of Cosplay featured regional cosplay champions from around the world with contestants representing the United States, Australia, China, Austria, Singapore, Indonesia, India, France and more. You can also watch the “pregame” videos over on ReedPOP’s YouTube channel! Congrats to all who participated! There’s a lot of hard work and labors of love in every costume! 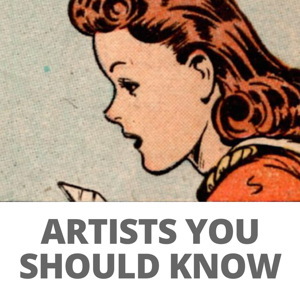 Here are photos, supplied by ReedPOP. 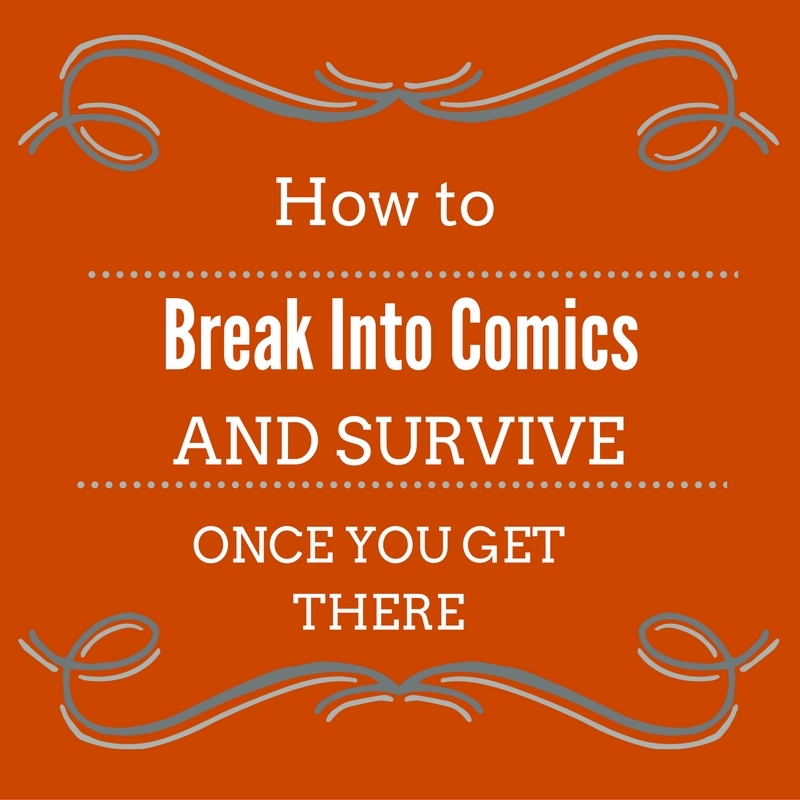 Click to enlarge!